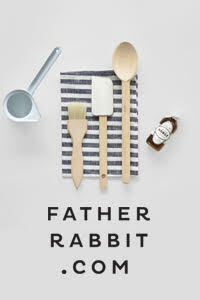 Last week I introduced you to the first of two cottages owned by John and Juli Baker of Mjölk store in Toronto, Canada. If you missed the guest cottage, take a look here. Today's post features the main cottage. Located near the beach on Georgian Bay, both belonged to Juli's parents who purchased them in the 70's. They carried out some initial improvements such as building a deck and installing California style windows and a new kitchen. 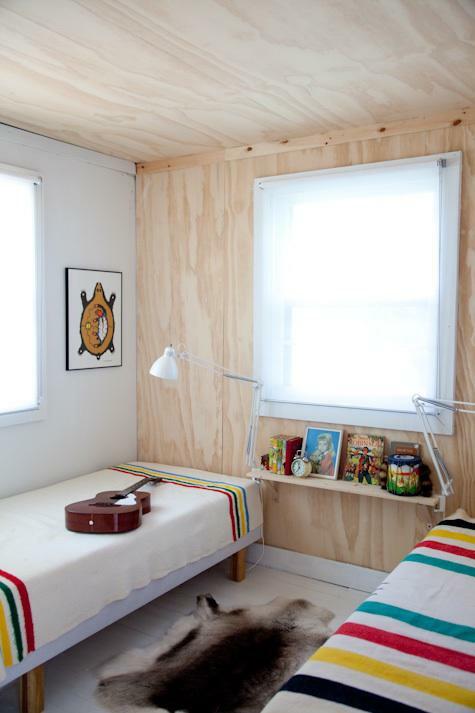 When Juli inherited the cottages several years ago, she and John set to work on completing the renovation. Sharing the same taste when it comes to design, the couple have successfully created the summer escape that they'd always dreamt about. 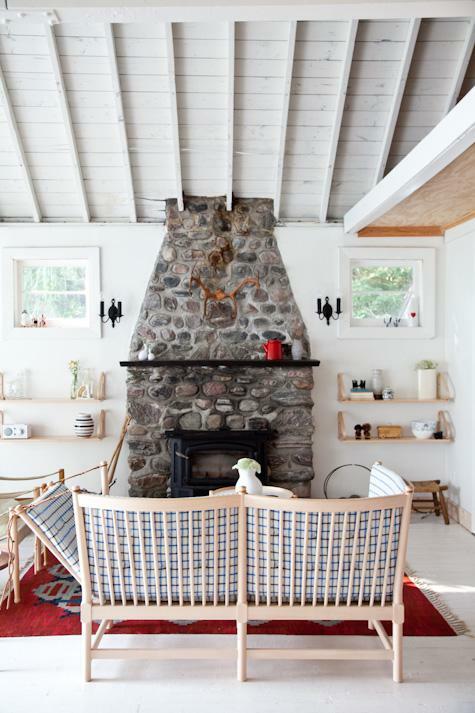 John and Juli stripped the cottage back to its original state, painting the walls and floor white. They are still undecided on whether to paint the old stone fireplace white as well. Happy to leave it for now, they like that it retains some history. The sofa, by Børge Mogensen, is available through Mjölk. A close up one of the original sconces which they found in the boat house and painted black. 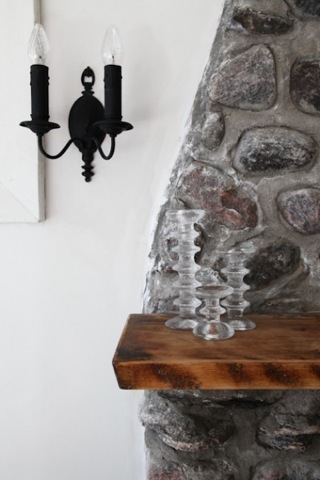 The candle holders are by Finnish glass designer Timo Sarpaneva. Like the guest cottage, the main one is furnished with some amazing bargain finds. The Moooi Two Tops Table, designed by Marcel Wanders, was found at a consignment shop. Damaged in a movie shoot, they picked it up for a steal. 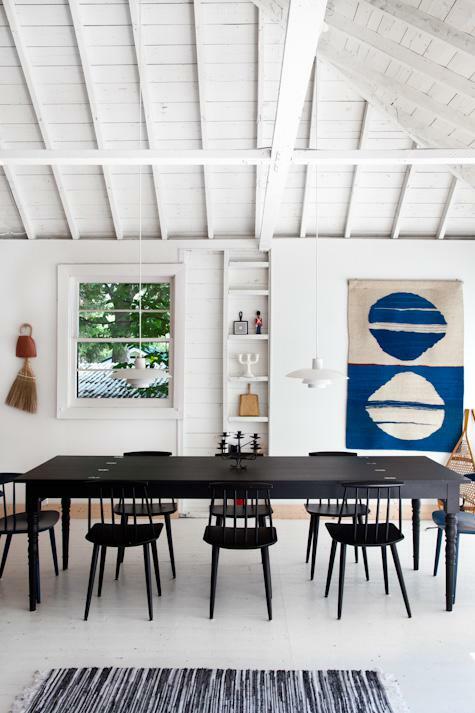 The vintage dining chairs are by Folke Palsson and the PH 5 pendant lights are by Louis Poulsen. The kitsch shell framed painting was a vintage find by Juli's father. My favourite piece of furniture in the house would have to be the 901 Tea Trolley by Alvar Aalto which is available from Mjölk. 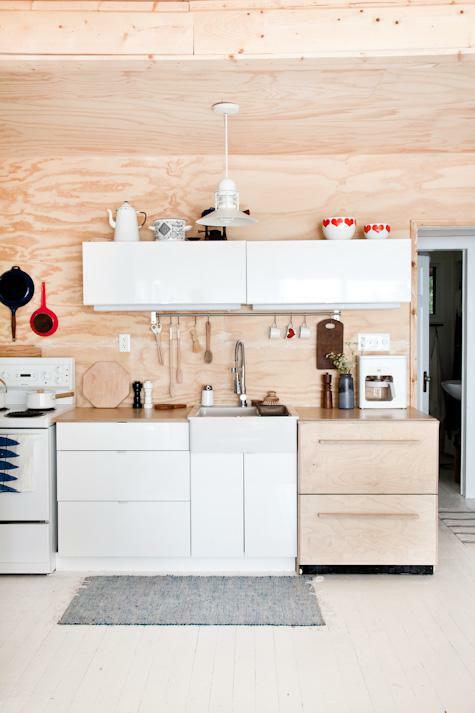 Due to lack of storage space in the kitchen the couple wanted appliances worthy of display. Thanks to budget friendly choices like Ikea cabinets which they assembled themselves, fir ply boards for the wall and ceiling and birch plywood for the benchtop, they could afford to splurge on the Rowenta coffee maker and toaster designed by Jasper Morrison. I love the master bedroom's minimalist style and vintage touches. 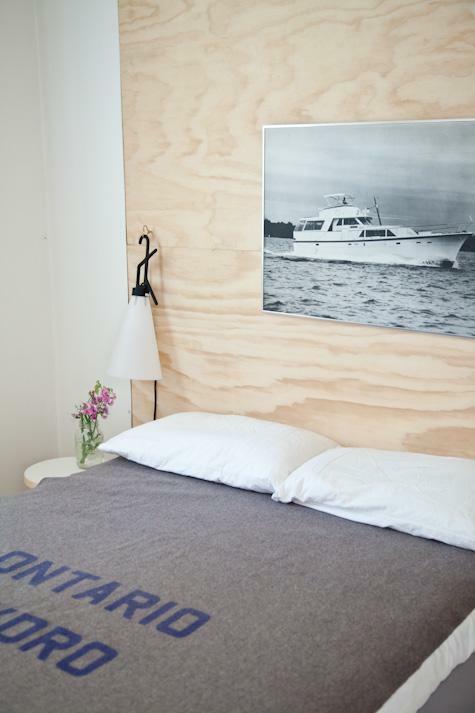 The motor yacht photo was picked up at a vintage shop in Toronto, while the blanket is a vintage emergency one from Ontario Hydro, which they found in the cottage's loft. 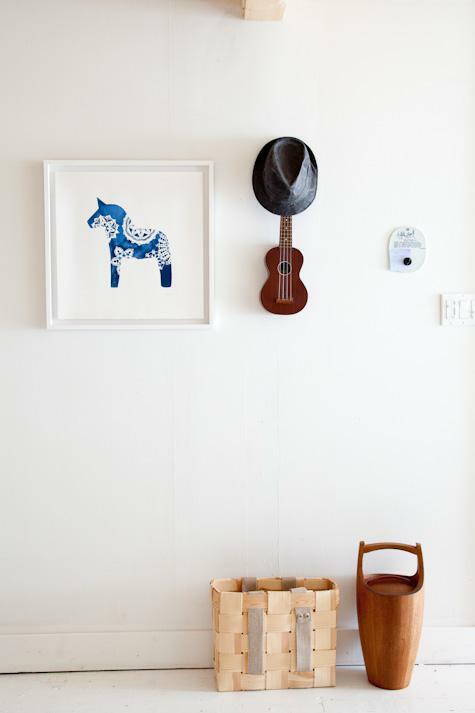 The framed Dala horse watercolour by Melinda Josie is so cute! Juli's old bedroom has been revamped with a Cowboys and Indians theme. The task lights from Luxo are both practical and stylish and the vintage Hudson's Bay blankets add colour. The guitar is used for impromptu singalongs around the campfire! 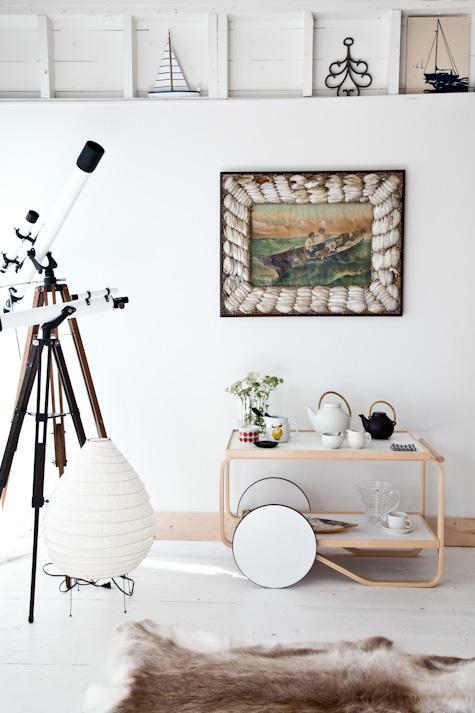 Another great example of John and Juli working their magic, I can't get enough of the Japanese-Scandi style, vintage touches and homely, fun vibe of their cottages. An ideal weekend retreat, I feel very inspired. How about you? To see more pictures, both before and after the renovation, take a look at The BIG Reveal! 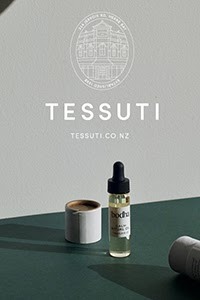 post on the Mjölk blog.